Each year SASA recognizes a scholar for exemplary work over a span of years. Selection is a continuous searching and winnowing process. Although there are a great many deserving names advanced each year, the board leans towards individuals who, in its judgment, deserve greater recognition than the years have afforded. We are proud to have, among those selected, the following world-class scholars and teachers. Professor Sudha Pai is a preeminent Indian political scientist, educator, author and columnist whose distinguished career spans almost four decades. She is currently President of the research think tank, Policy Research and Management Network (PRAMAN) in New Delhi. PRAMAN’s mission is to help improve the quality of Indian public policy formulation, implementation and evaluation through creation and dissemination of knowledge, and it undertakes research on multiple aspects of Indian public policy in areas including health, education, agriculture and foreign policy. She retired in 2016 as Professor of Political Science at JNU’s Centre for Political Studies and as Rector (Pro-Vice Chancellor). Dr. Pai holds a PhD from JNU and has over 35 years of teaching and research experience at JNU, Delhi University and Gargi College. She originally joined JNU, in 1980, as Assistant Professor within the Centre for Political Studies, School of Social Sciences. At the Centre she has taught courses and guided research in the fields of Indian politics and comparative politics. Her research interests include Dalit politics, state politics in India, agrarian politics, globalization and legislative governance. Her former students now hold faculty positions in many leading Indian universities, the Indian Civil Services, journalism and NGOs. 2018, Dr. Christopher Key Chapple. (Doshi Professor of Indic & Comparative Theology, Loyola Marymount University). Dr. Chapple is the Doshi Professor of Indic and Comparative Theology at Loyola Marymount University. He is also Director of the Master of Arts in Yoga Studies program at LMU, a first of its kind in the nation, which he inaugurated in 2013. He has published more than twenty books and edited many more volumes, primarily in the area of religion and ecology, and he has authored hundreds of articles, essays, and lectures. He serves as an advisor to the Centre for Jain Studies in London, to the International Summer School for Jain Studies in Delhi, to the Oberoi Foudation in Denver, to the Ahimsa Center in Pomona, and to the Forum on Ecology at Yale. Together with philanthropists Pratima and Navin Doshi, he convenes the annual Doshi Bridgebuilder Award events at LMU. Dr. Chapple additionally hosted the first SASA Annual Conference at LMU in 2007, and he has been a frequent speaker at subsequent SASA conferences. (Director, RAND Center for Asia Policy, Sr. Economist & Professor, Pardee RAND Graduate School). Rafiq Dossani is director of the RAND Center for Asia Pacific Policy, a senior consultant at the Rand Corporation, and a professor at the Pardee RAND graduate school. His research interests include education, regional development, security, finance, and technology issues. His diverse work focuses on Muslim minorities in Asia, the role of Chinese and Indian engineers in Silicon Valley, the growth of venture capital in India, regional integration in South Asia, the Trans Pacific Partnership, and India-Pakistan negotiations over Kashmir. His advisory work has ranged from strategic planning for the Kurdistan Regional Government of Iraq to the telecommunications industries in India and Pakistan, and on to how the World Bank might improve trade relations in South Asia. Dossani’s non-profit work includes serving as a trustee for Hidden Villa, an environmental initiative in the Bay Area, and earlier, serving as a Director of the Aha Khan Rural Support Program in India. He holds a Ph.D. in Finance from Northwestern University, an M.B.A. from the Indian Institute of Management, Calcutta, and a B.A. in Economics from St. Stephen’s College, Delhi. 2016, Dr. Minoti Chakravarti Kau. (Emerita Professor of Economics at Lady Shri Ram College). Professor Minoti Chakravarty-Kaul taught Economics at Lady Shri Ram College, University of Delhi, from 1961 until her retirement as Emerita in 2002. 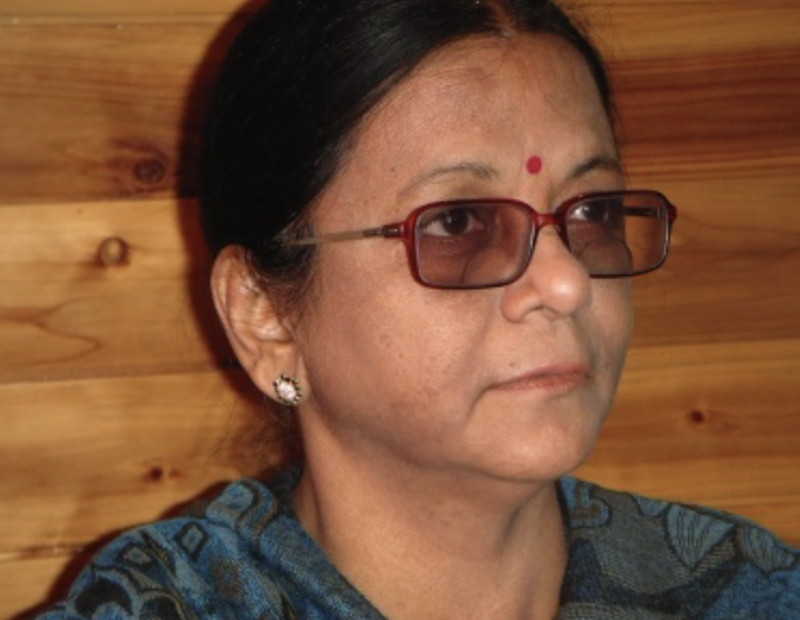 The community concerns over the distribution of common lands from the villages of a cluster in North West Delhi in 1977 sparked her research into common property, and ultimately resulted in her most famous work, Common Lands and Customary Law: Institutional Change in the Past Two Centuries (Oxford UP, 1996). Throughout her career she worked closely with the 2009 Nobel Prize winner in Economic Science, Elinor Ostrom. Her work has been recognized with a Fulbright Fellowship, a Ford Foundation Fellowship, a Ciriacy Wantrup Fellowship, and a University of California, Berkeley and The Shastri Indo-Canadian Fellowship. She is the founder of the Raah Shamilat Research Group and the RAHAT Resource Center. She is also a founding member of the International Association for the Study of Commons. Her current work widens her geographic scope, but maintains her strict focus on the cause and the curse of the commons. 2014, Dr. Paul R. Brass. (Ph.D., University of Chicago). Professor Emeritus of Political Science and International Studies at the University of Washington, Dr. Brass is a prodigious scholar with nearly two score books in print, including a two volume biography of Charan Singh, several monographs examining ethnicity and caste in politics, and multiple ground breaking studies on the origin and management of political violence. A full listing of Paul’s monographs can be found on his personal website. (Ph.D., Moscow State University). Dr. Dubiansky teaches Tamil Studies at the Institute of Asian and African Studies, Moscow State University. Although not well-known to Western Indologists, he is one of the foremost scholars of the Tamil tradition working today. His major monographs, in Russian, include Ritual and Mythological Background of Ancient Tamil Lyrics (1989), Tamil Literature: an Outline (in cooperation with L. Bychikhinam 1987), and Songs on Palm-Leaves. An Anthology of Ancient Tamil Lyrics (1979). Ritual and Mythological Sources of the Early Tamil Poetry (2000) is available in English. In addition, Dr. Dubiansky is the author of several dozen research papers in both Russian and English. At least as important as these contributions are, he excels as a teacher and mentor to the next generation of scholars. (Ph.D., University of Chicago Divinity School). Dr. Hiltebeitel is a professor of religion at the Columbian College of Arts and Sciences, George Washington University. Throughout his career his central focus of research has been the great epics of India (specifically the Mahabharata and Ramayana), regional folk epics, and the cult of the goddess Draupadi. He has authored, edited, and translated many books and dozens of articles. Among his books are Dharma: Its Early History in Law, Religion, and Narrative (2011), The Rutual of Battle: Krishna in the Mahabharata (1990), The Cult of Draupadi (1988, 1991), and Rethinking India’s Oral and Classical Epics: Draupadi Among Muslims, Hindus, and Dalits (1999). Joe has served in multiple capacities at the Virginia Museum of Fine Arts, but always as Curator of its South Asia collection, which he built throughout his career. However, publishing “The Arts of India” in 2001, it remained a hidden gem known to only a handful of people. Subsequently, the Virginia Museum of Fine Arts has achieved recognition as home to a world-class collection of South Asian art. Without Joe’s dedication and lifetime of service it would not have happened. (Ph.D., University of Pennsylvania). Professor Wolpert academic home is the History Department, University of California, Los Angeles beginning as an instructor in 1959 and continuing on through retirement. A prolific writer, Wolpert’s major academic publicatons include Tilak and Gokhale: Revolution and Reform in the Making of Modern India (1962)., Morley and India, 1906-1910 (1967), A New History of India, (1977, 1989, 1993), Roots of Confrontation in South Asia (1982), Jinnah of Pakistan (1984), Zulfi Bhutto of Pakistan (1993), Nehru: A Tryst with Destiny (1996). He is also a significant interpreter of South Asia to popular Western audiences, most famously via his novel Nine Hours to Rama, which was later turned into a popular movie of the same name. 2009, Dr. Harold A. Gould. (PhD, Washington University). Hal served as professor of anthropology and South Asian Studies at the University of Illinois, Champaign-Urbana, from 1968 to 1991. Since then he has been a visiting professor of South Asian Studies at the University of Virginia, Charlottesville. His research focus has been on grass-roots political behavior and commentary on South Asian politics. His major publications include The Hindu Caste System. Vol 1: The Sacralization of a Social Order, 1987; The Hindu Caste System, Vol 2: Caste Adaptation in Modernizing Indian Society, 1988; The Hindu Caste System, Vol. 3: Politics and Caste, 1990; Grass-Roots Politics in India: A Century of Political Evolution in Faizabad District, 1994; Sikhs, Swamis, Students and Spies: The India Lobby in the United States, 1900-1946, 2006; The South Asia Story: The First Sixty Years of U.S. Relation with India and Pakistan. New Delhi: Sage Publications 2010. (PhD, University of Calcutta). Prior to retiring, Dr. Pal served the Himalaya and/or South Asia curator for several world-class museums (Boston Museum of Fine Art, Norton Simon Museum, Pasadena; Art Institute of Chicago; Los Angeles County Museum of Art), in addition to teaching at a number of major universities. Dr. Pal is general editor of Marg, A Magazine of the Arts. An internationally respected authority on art and culture in the Subcontinent, particularly the Himalayas, and Southeast Asia, Dr. Pal has authored over 60 publications including such landmark monographs as: Dancing to the Flute: Music and Dance in Indian Art, Light of Asia, and Goddess Durga: The Power and The Glory. In 2009 he was awarded the Padma Shri by the President of India.